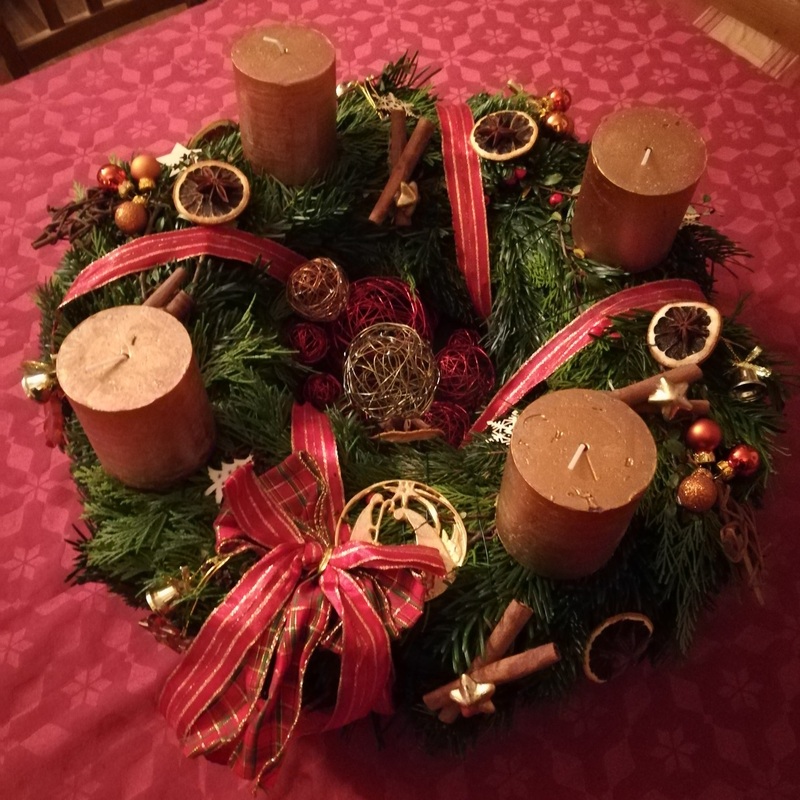 I finished our wreath yesterday, just in time for the First Sunday in Advent celebration – which this year consisted of lighting a candle. My 16 and 18 year old daughters dutifully complimented my work, made 95 seconds of small talk and then retreated back to their rooms. In earlier years, we would have had a longer ritual including aromatic tea, cookies, the sound of Bing or Dean or Frank softly singing Christmas carols in the background, and a reading of some short, moralistic, Christmas-themed story. That last part, to be honest, was never my daughters’ favorite and might explain their speedy departures now. So . . . seeing as how I missed telling them a sappy story, I will force one on my blog audience . . .
A week ago, we just had friends visiting and we took them to the Christmas market that had enchanted us so much the first time we were there (when I bought my “alternative” crèche.) 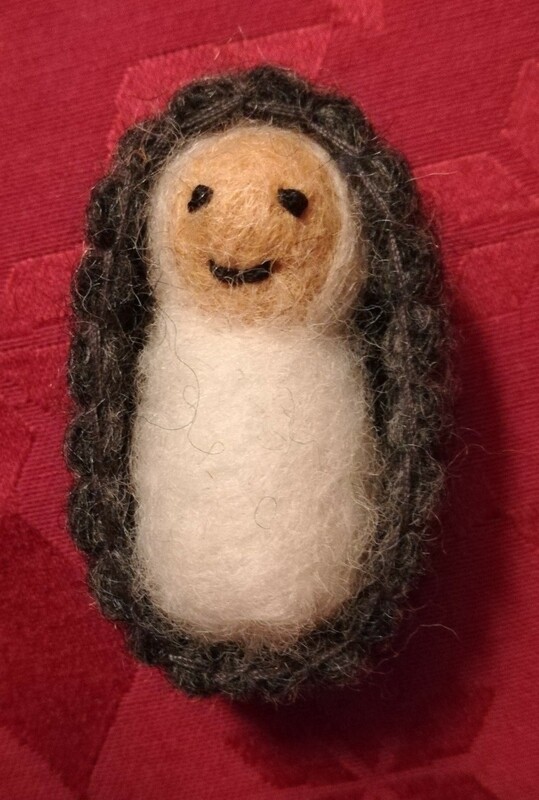 While we were there, I unhopefully walked up to the cashier and asked if anyone had found a missing Baby Jesus made of felt about the size of my thumb. I wasn’t expecting much as we traipsed over to the next room. In the corner where my crèche had been displayed there was now a bucket of stuffed sheep and cows. We took a closer look and . . .
. . . there he was. That is was Christmas is about! Glad to hear little baby Jesus finally found his parents (whoever they may be)! This is a riot – you should post this story! It already takes some guts to display a life-sized creche, but then to put up an alternative one ?! . . . as they say in Austria – “Kudos, Joan!” What did you name Baby Jesus’s twin brother? And whatever happened to him? Did he start a whole new religion too? I can’t top Just Joan. We have a winner, folks!